The Mission Dirt Project started with digging the dirt under my apartment in the Mission, turning it into ceramics, searching for deposits of gold and using it to grow tea to share with my neighbors. I am looking at the soil itself as a way to examine our local history, geology, and story of place. Mission Creek – now buried – has deposited soil with a high clay content under my home. I investigate landscape – how we imagine and perceive our environment, and the physical material of place. What happens on the surface is constantly changing. Many different peoples have created homes here – the Ohlone and then missionaries and immigrants and now tech workers. My apartment has been here since before the 1906 earthquake. The dirt under the apartment hasn’t changed. To reach it I travel into what looks like an old mine shaft below the sidewalk. This is where the fuse boxes are. I have navigated this space with pick ax and shovel and mined the soil. This is a kind of guerrilla land grab and share – I am looking at the value of the dirt itself and sharing what I find. The real estate here is some of the most expensive anywhere. 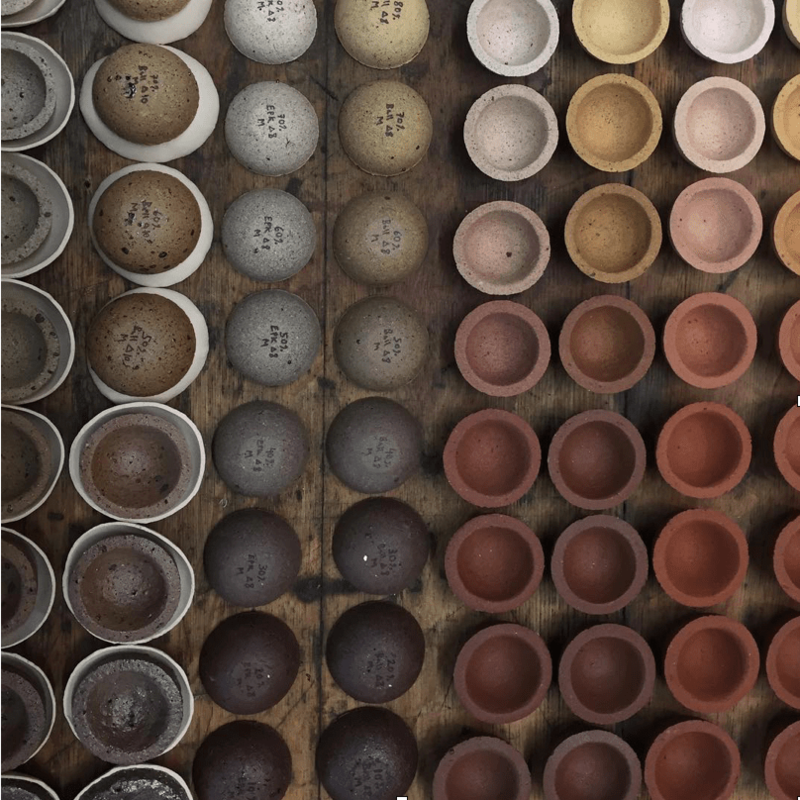 I have processed the soil to create fired ceramics and grow native plants. I am testing the land – firing it, mixing it and questioning its meaning and ownership. This project has gone out on the street, just above where the soil was harvested, as part of the Mission Community Market and Sunday Streets in the Mission and now here at ATA. I am inviting residents and visitors to look at an invisible past and consider our future. I am inviting us to connect with the soil under our feet. I am also collecting stories, memories and drawings from the neighborhood. You are invited to share an impression from the neighborhood that may be used in a future version of this project.